The Veterans Affairs Department has once again fired a scandal-plagued senior executive, this time using the authorities Congress afforded it and President Trump signed into law in June. VA initially dismissed Brian Hawkins, the former director of the department’s medical center in Washington, D.C., in April after a report cited the facility for deficiencies in how it handles medical supplies. The department’s inspector general faulted managers for failing to act on issues they had known about, which ultimately “compromised patient safety.” VA placed Hawkins in an administrative position immediately following the report’s release until it proposed his firing June 9. The Merit Systems Protection Board placed a hold on the proposed firing in August after the Office of Special Counsel requested a 45-day delay to investigate alleged whistleblower retaliation. At the time, VA Secretary David Shulkin vowed to remove Hawkins from the department’s rolls anyway and said he would not put Hawkins back in his original position. 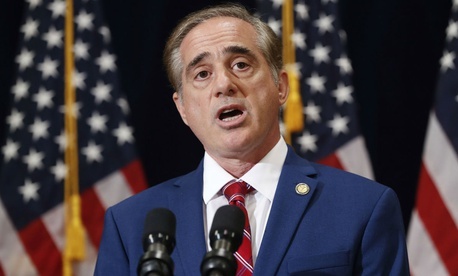 The new law, which became effective after VA’s initial disciplinary action against Hawkins, allows Shulkin to move disciplinary actions more quickly. Because Hawkins is a member of the Senior Executive Service, an appeal would have to go to to a newly formed internal board the law created to handle SES cases on an even more expedited timeframe. The panel would have just 21 days to complete consideration on the grievance. While VA first reassigned Hawkins after the IG issued an interim report, it has pointed to new revelations the auditors brought to light since the firing law went into effect to justify using the new authorities. The update IG report found Hawkins sent “sensitive VA information” from his work email to “unsecured private email accounts.” VA notified Hawkins of its latest action in late August. If Hawkins were not in the SES, an active claim with OSC would have prevented Shulkin from firing him. Congress, however, exempted senior executives from that whistleblower protection provision, meaning the secretary could move forward with the termination regardless of Hawkins' standing with OSC. Hawkins’ attorney could not be reached for comment on the former employee’s future plans.